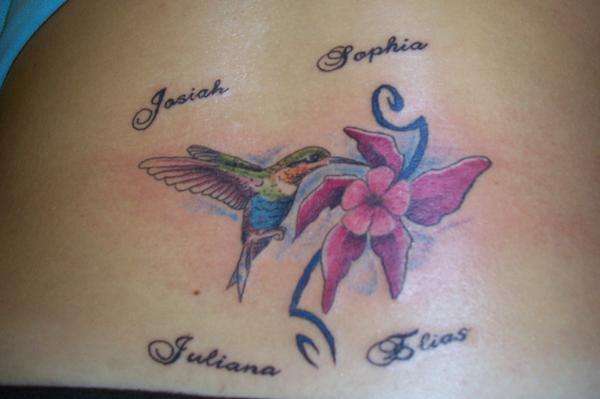 This is my hummingbird and red columbine flower with my childrens names around it. It was my firsts tattoo and its on my lower back. It was done by Fallen Angel tattoo studio in charlotte NC. I love the detail work and the color. right on, girl! looks great!